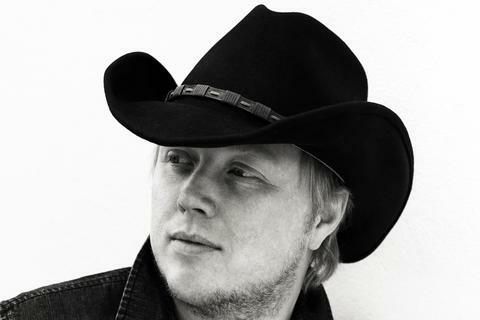 Kurt Nilsen began his artist career in the Bergen based band, Fenrik Lane, but it was not before he entered the Idol audition in his hometown it really kicked off. His performances were breathtaking and not only did he win the hearts of the Norwegian people he went on, against all odds, to beat Kelly Clarkson and won World Idol. His two first albums both sold to double platinum and “Hallelujah-­‐live”, a collaboration with Alejandro Fuentes, Espen Lind and Askil Holm sold over incredible 240.000 (6x platinum) albums, 40.000 (4x platinum) DVD’s, sold out Oslo Spectrum (cap. 8500) x3 and a had total tour audience of 150.000 people. Kurt released his 3rd solo album October 2007 and pop smashes “Push Push” and "Reality Kicks" raved the radios. A country inspired singer-­‐songwriter album was released April 21st 2008 – the album included the Hank Williams cover "Lost Highway" in duet with country legend Willie Nelson! "Lost Highway" and again Kurt Nilsen played a sold-­‐out Norway tour. The album titled "Rise To The Occasion" sold over 100.000 copies in Norway and is certified 3 x platinum. . In 2009 Kurt Nilsen will re-­‐united with his friends Espen Lind , Alejandro Fuentes and Askil Holm for "Hallelujah Live Vol 2" selling 80.000 (2 x platinum) albums, sold out Oslo Spectrum and 28 other gigs playing for at total of 150.000 people once more. Kurt Nilsen did his first sold-­‐out Kulturhus tour in spring 2010 before going in the Studio recording a Christmas album together with Kringkastingsorkestret. The album was release in November same year and sold amazingly 160.000 copies. Kurt & KORK did a live broadcasted Christmas concert on NRK1 18th December witch had over 1 million viewers. In 2011 Kurt and Christel Alsos (Norwegian artist) toured all over Norway together with some great musicians. They were playing 30 sold-­‐out Christmas concerts. During 2012 Kurt started the recording of his first album in Norwegian with his long time friend Espen Lind as a producer. The first singel was ”Den Gamle Dansen” and the album ”Inni En God Periode” var released early in 2013. The album became massive successes and got great reviews from the Norwegian press. In 2013 Kurt celebrated 10 years as one of the biggest artists in Norway with a TV aired concert from his hometown Bergen. The concert was watched by nearly 700.000 and some of Norway biggest artists participated in this massive celebration. The concert was recorded and released as a live CD/DVD, and Kurt went on his biggest summer tour in Norway so far.